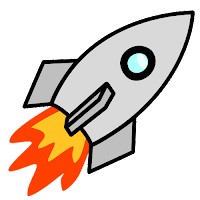 ✍Here are 100+ new short fiction writers reviewed by Rocket Stack Rank who are eligible for the 2020 Campbell Award. They were selected from the 700+ stories reviewed in 2018 by RSR as well the stories reviewed in 2019 so far (600+ expected by end-of-year). There are many more new SF/F writers than the ones in this list, but their stories weren't reviewed by RSR so they're not included here. The stories are grouped by 1st year and 2nd year of eligibility, sorted by score (sum of recommendations), and updated the first of each month. Stories from this year are highlighted in red to distinguish them from last year's stories by Year 2 Eligible writers. Stories with two authors are duplicated and the second instance credited to the second author. If one of the authors is not a new writer, they end up in the Year 3+ Ineligible group. You can also group by ✒️author eligibility, 📚publication, ★RSR rating, and highlight the 📖free stories. Writers that you ⚑flag and ★rate here are saved in a special My Campbell Ratings view on this page because their stories span two years. The year-specific My Ratings page will only show stories for that year, so the stories you see here together would be spread across two My Ratings pages. Eligibility was determined by looking up the author on ISFDB.org and doing web searches for those without an ISFDB entry. ISFDB data may be incomplete so it's best to check the author's website for a bibliography before nominating. Please report any errors in the comments so the list can be corrected. Thank you.